You’ll have access to a private IMAX theater, and your car will have its own elevator. Zaha Hadid was an Iraqi-born British architect whose work impacted the skylines of the world. Her sudden death just this past year left everyone in shock, but the lasting influence of her work on our society will be seen for years to come. 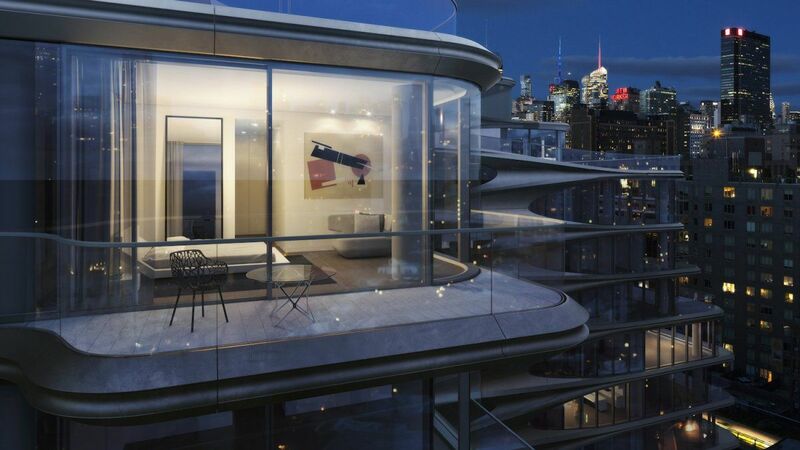 Hadid’s first ever building in NYC was also her last project. 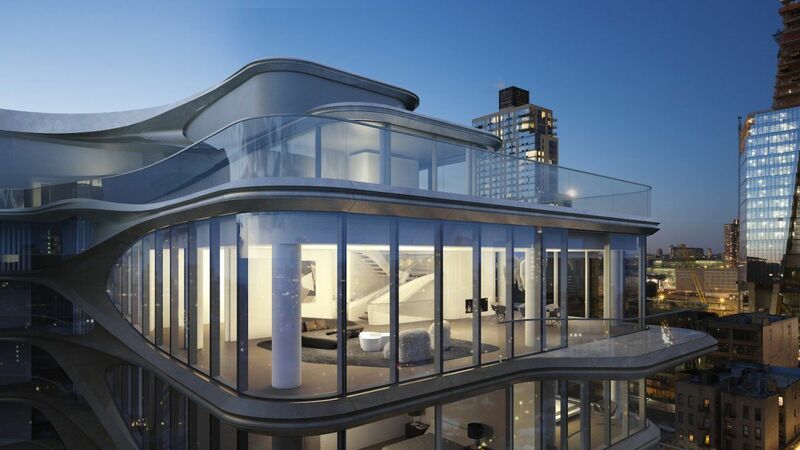 The structure stands a tall 41 meters (135 feet) at 520 West 28th Street on Manhattan’s west side. The $20 billion neighborhood has 50 percent of its units under contract and is set to open in 2024. 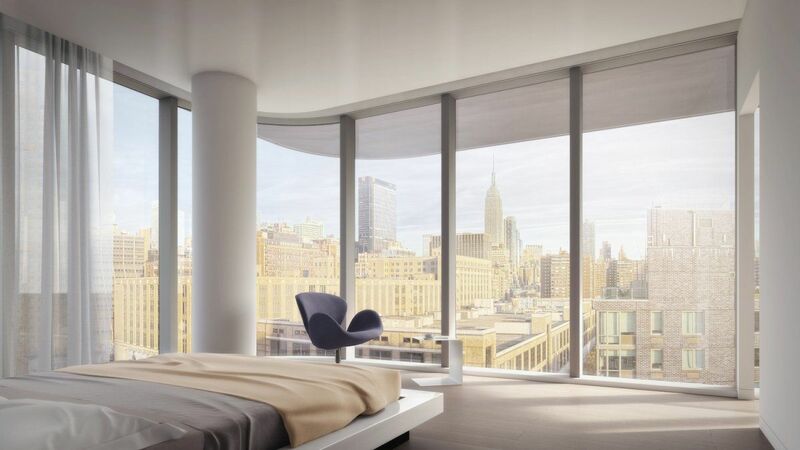 The 11-story building will house 40 condos and two $50 million penthouses with the rooms providing a peak at the High Line and West Chelsea. The apartments themselves will range from 185 sq m (2,000 sq ft) to 613 sq m (6,600 sq ft), providing the options from two- to five-bedroom layouts. The building will also have an automated car garage that will house movable platforms that lift like elevators when tenants park their cars. 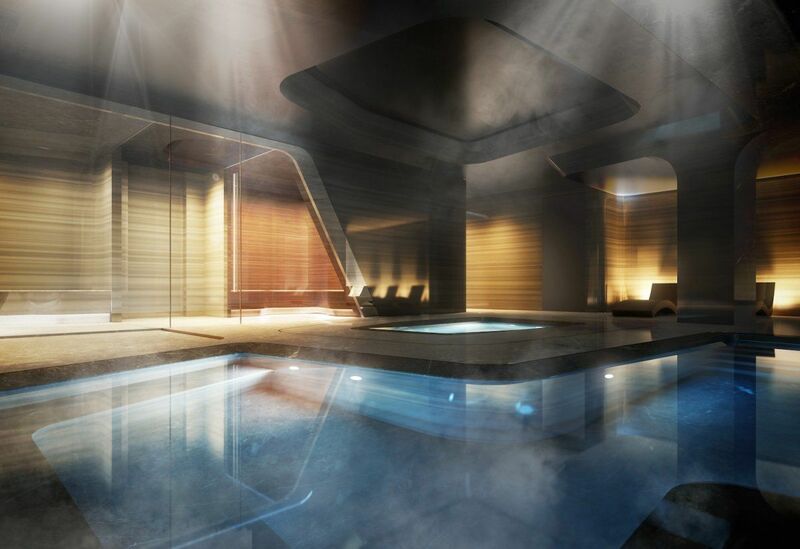 Adjacent to the lobby is a private IMAX theater that holds 12 people, a private spa, fitness center, and a 23-meter (75-foot) pool with a skylight. The building itself showcases some of Hadid’s signature styles, ranging from the loud curves to the opulent and easy-to-use design. The Pritzker Prize-winning architect had her design chosen for the location because of its optimistic view of the future and its modern design. The only catch is that each apartment begins at $4.9 million.